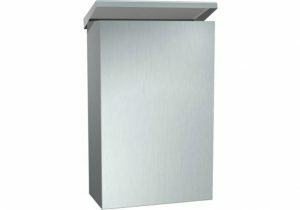 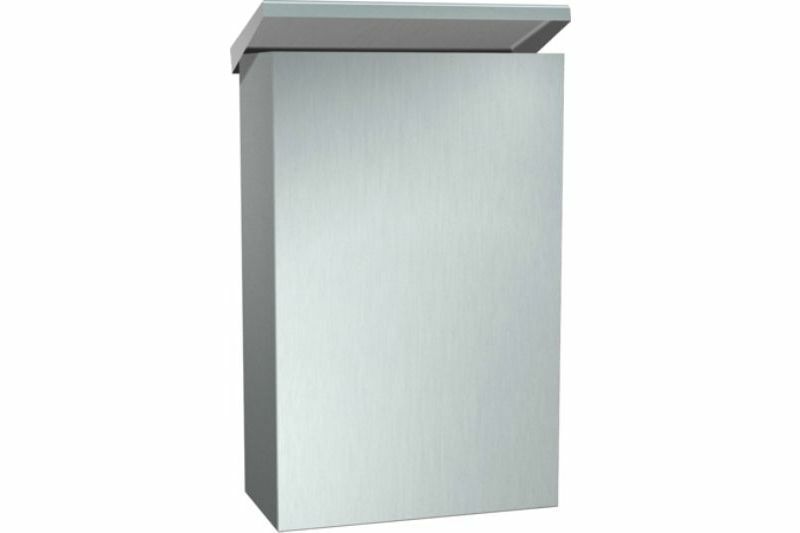 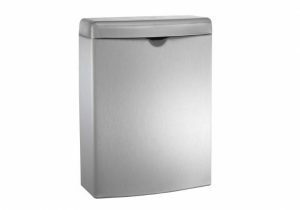 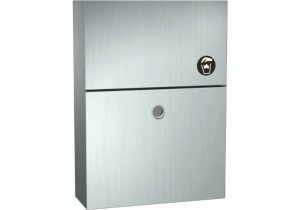 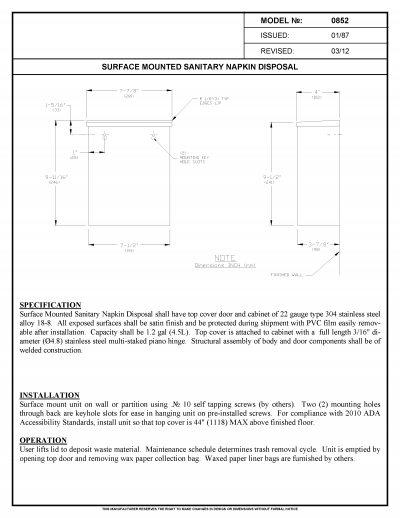 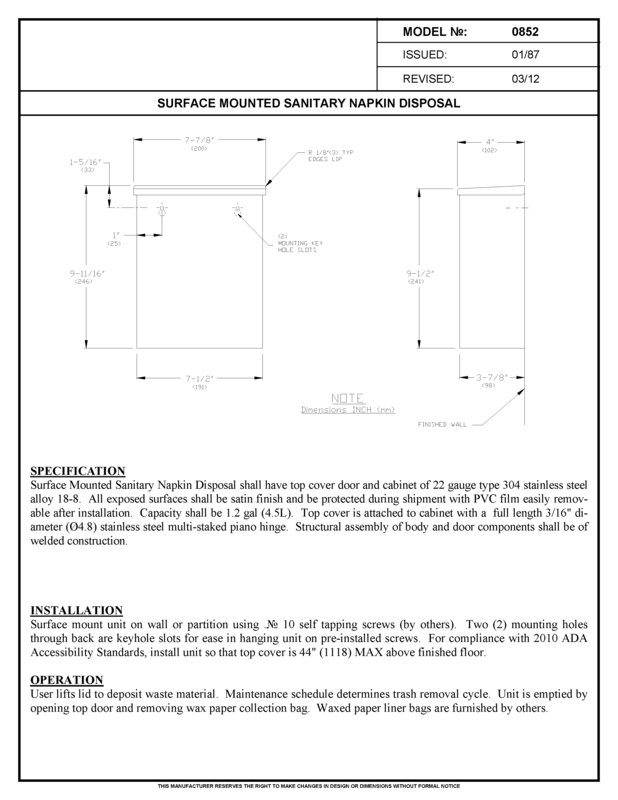 Surface Mounted Sanitary Napkin Disposal shall have top cover door and cabinet of 22 gauge type 304 stainless steel alloy 18-8. 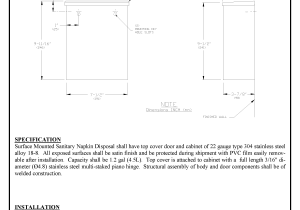 All exposed surfaces shall be satin finish and be protected during shipment with PVC film easily removable after installation. 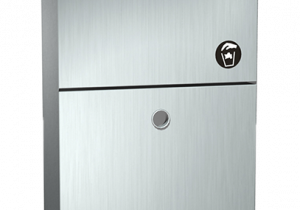 Capacity shall be 1.2 gal (4.5L). 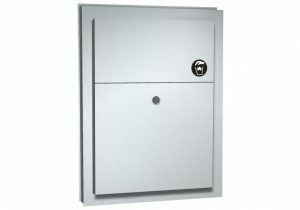 Top cover is attached to cabinet with a full length 3/16″ diameter (Ø4.8) stainless steel multi-staked piano hinge.